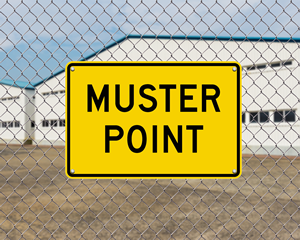 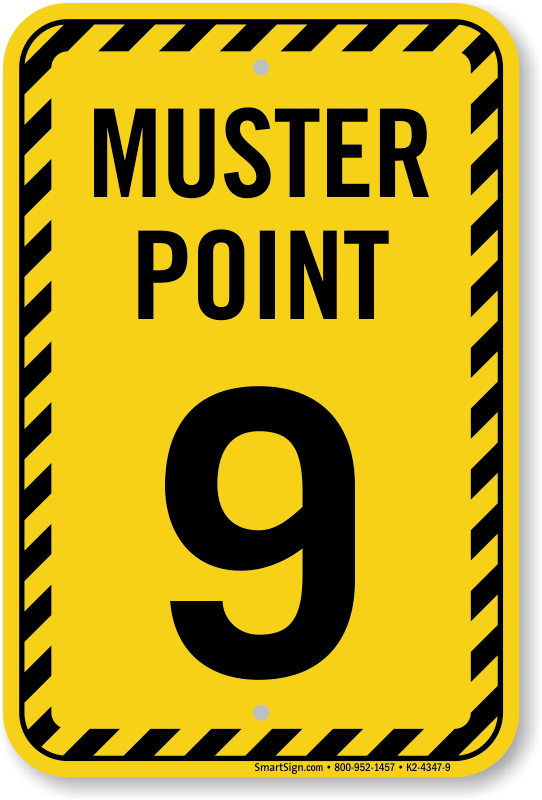 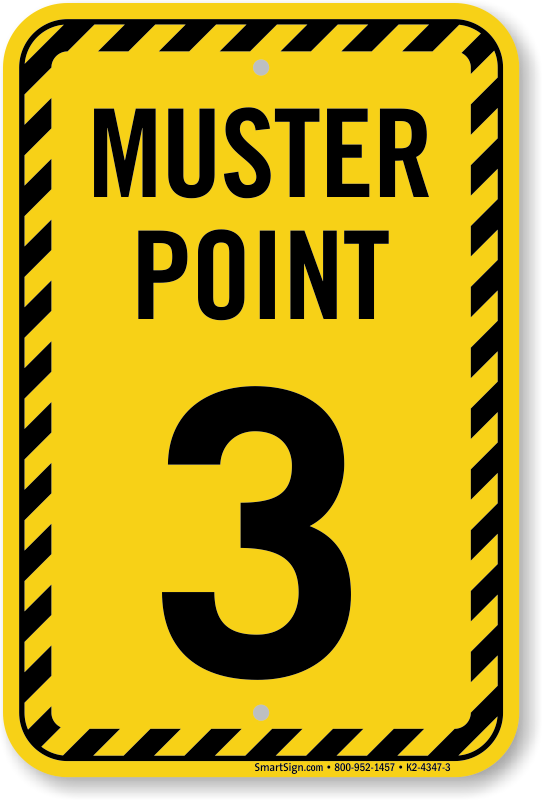 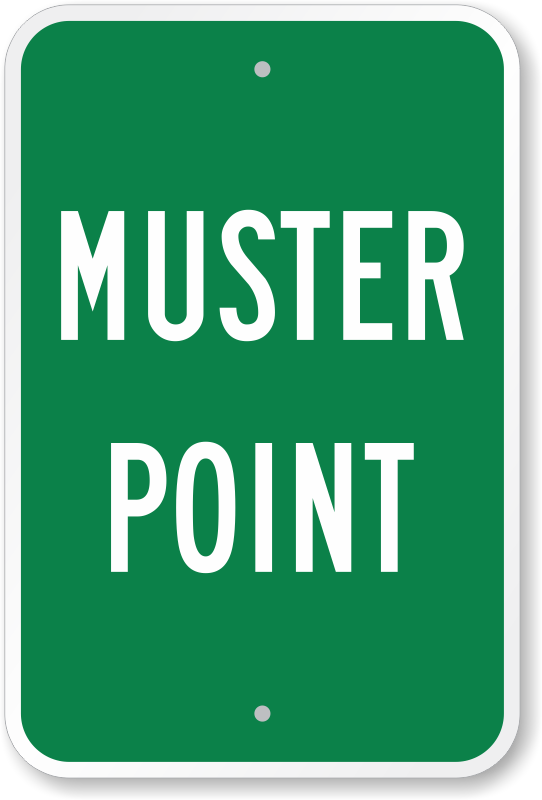 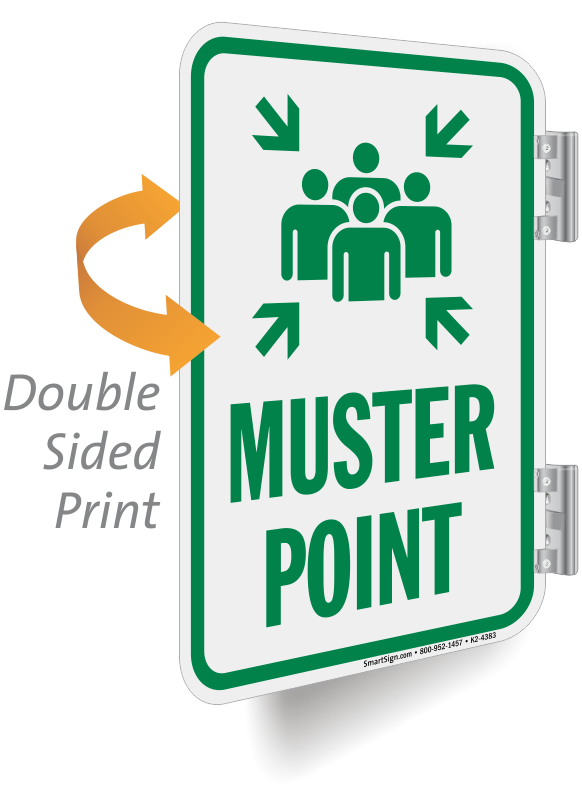 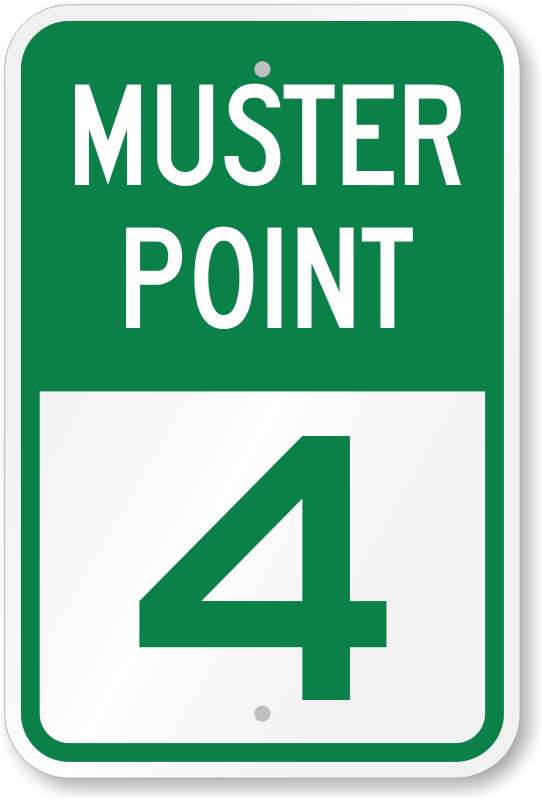 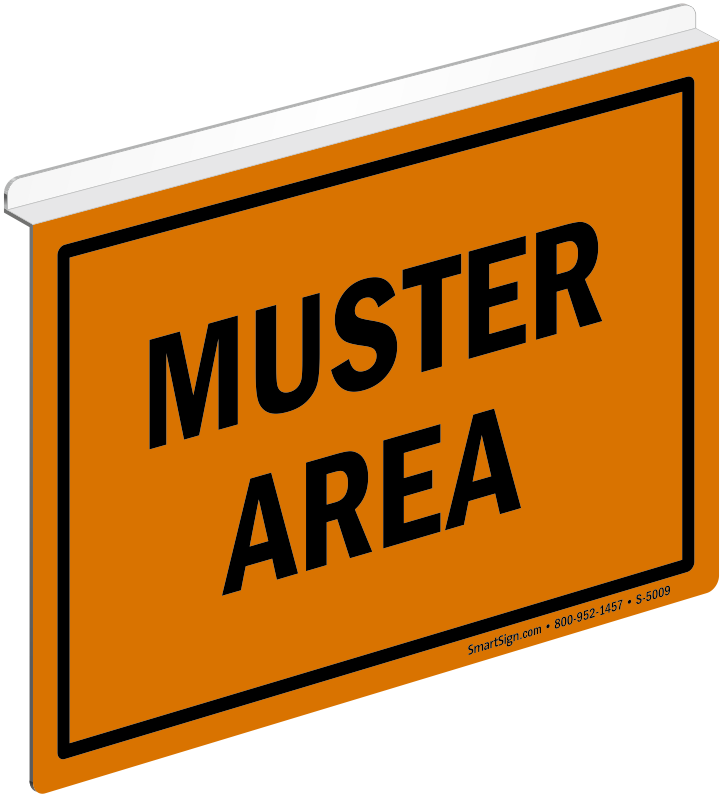 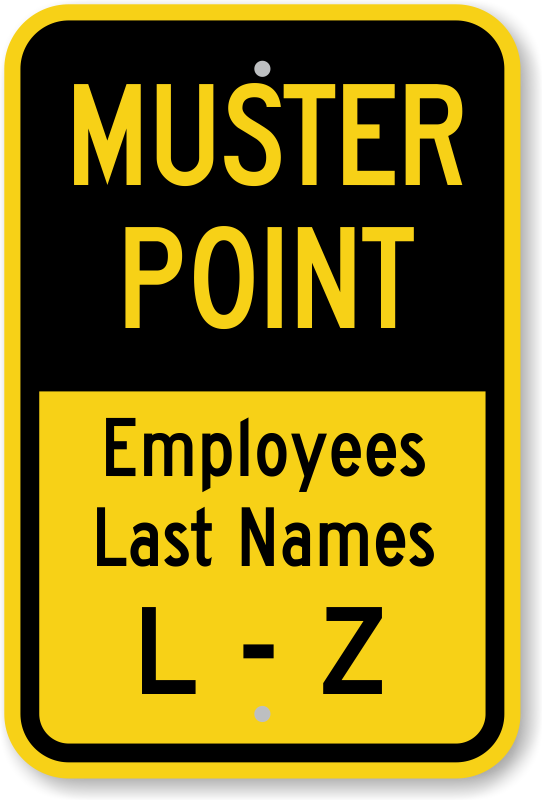 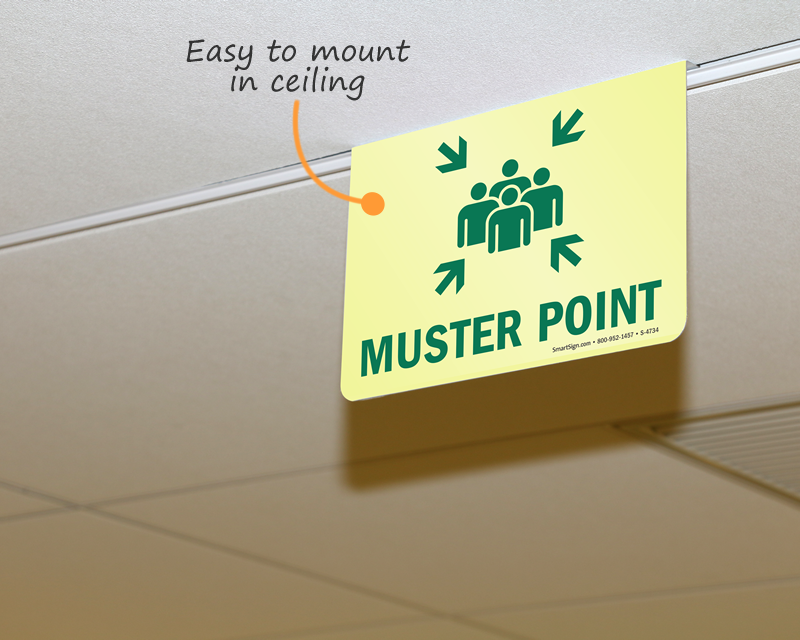 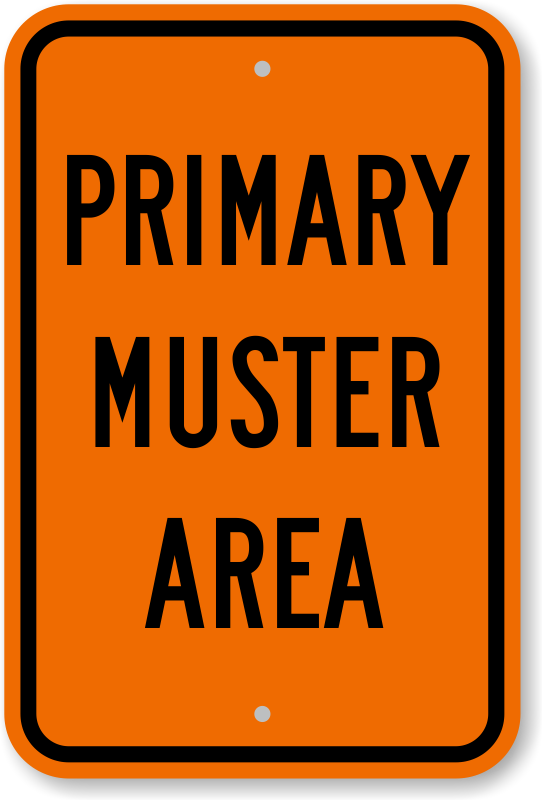 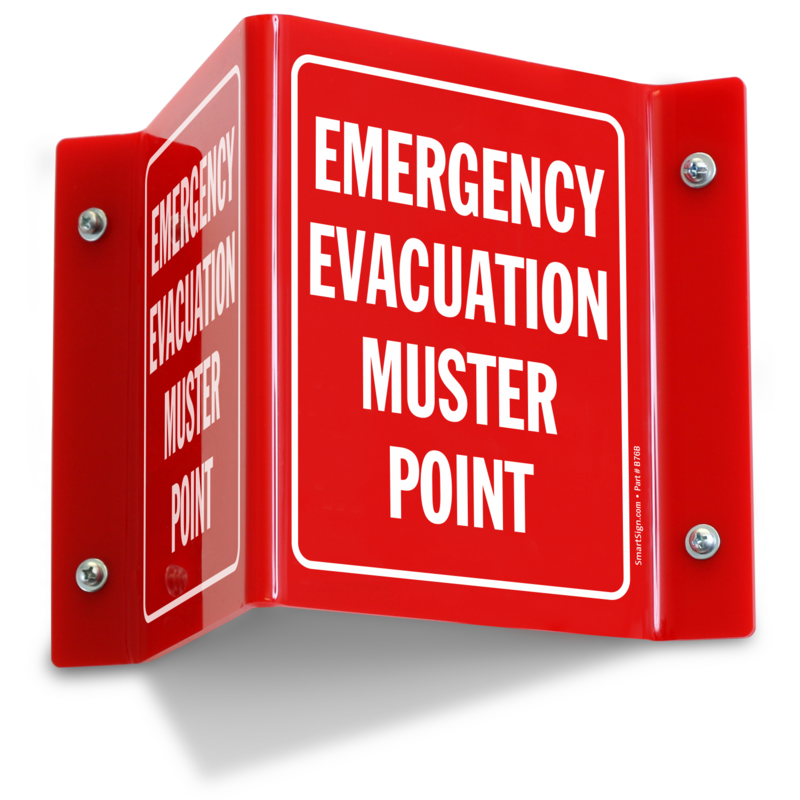 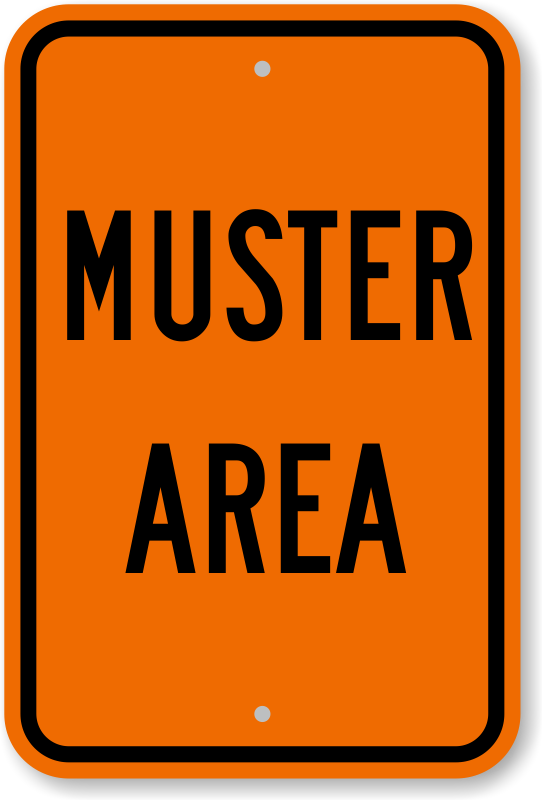 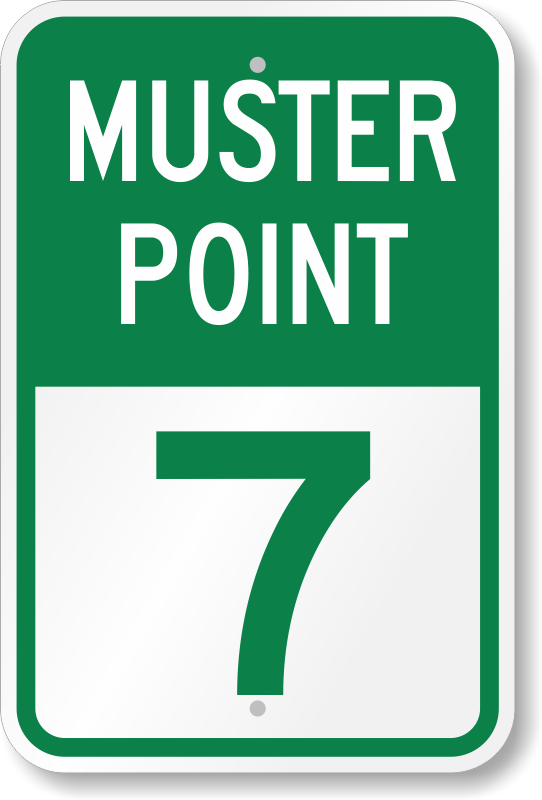 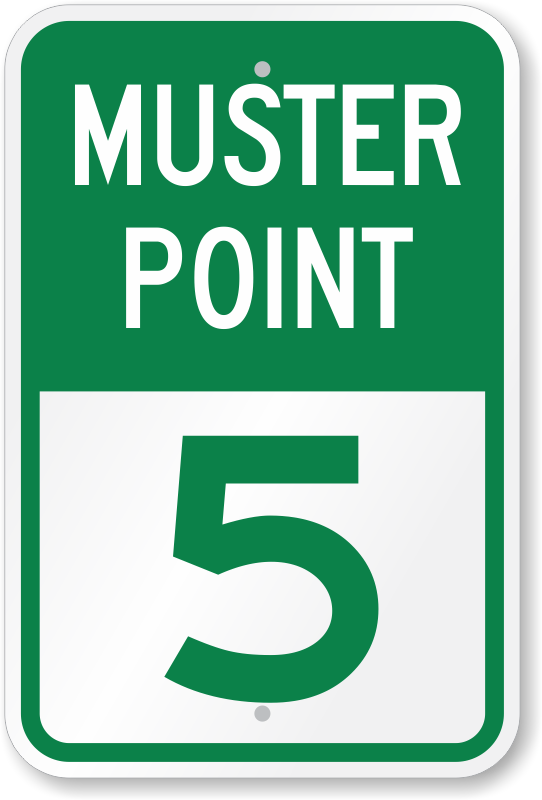 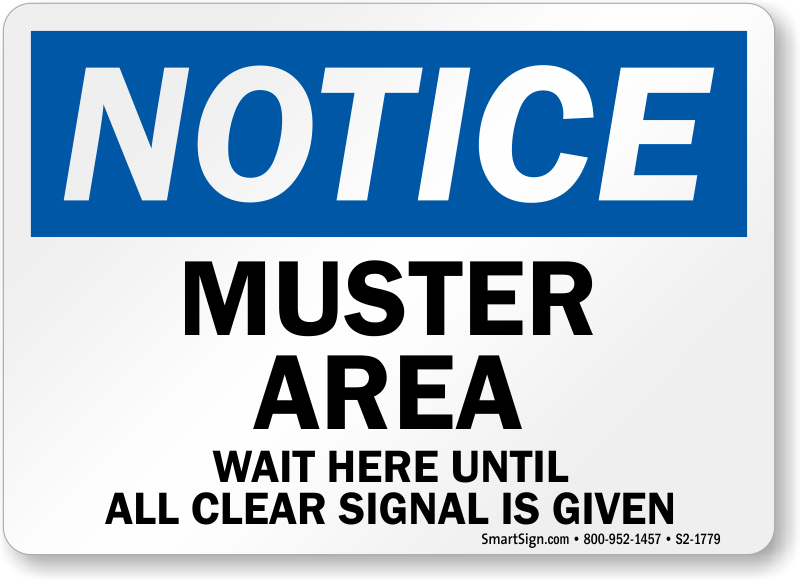 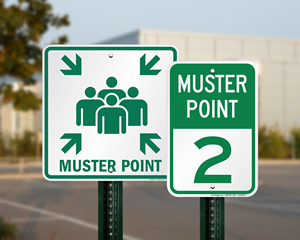 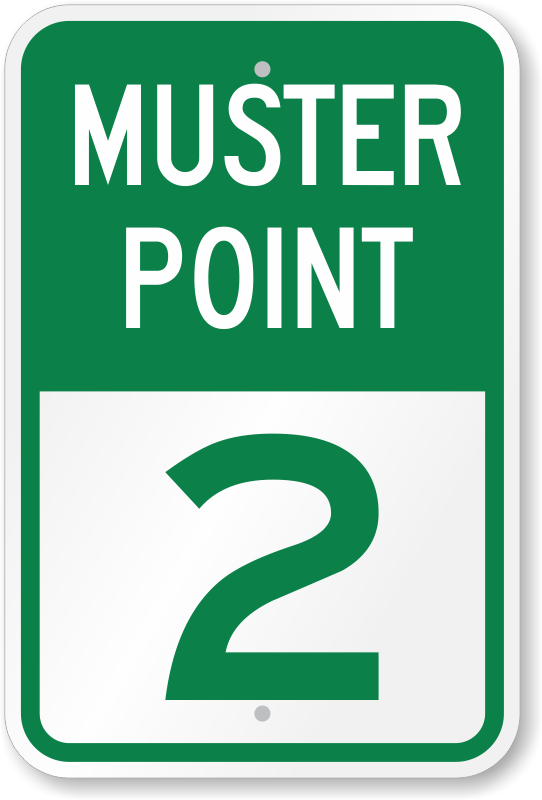 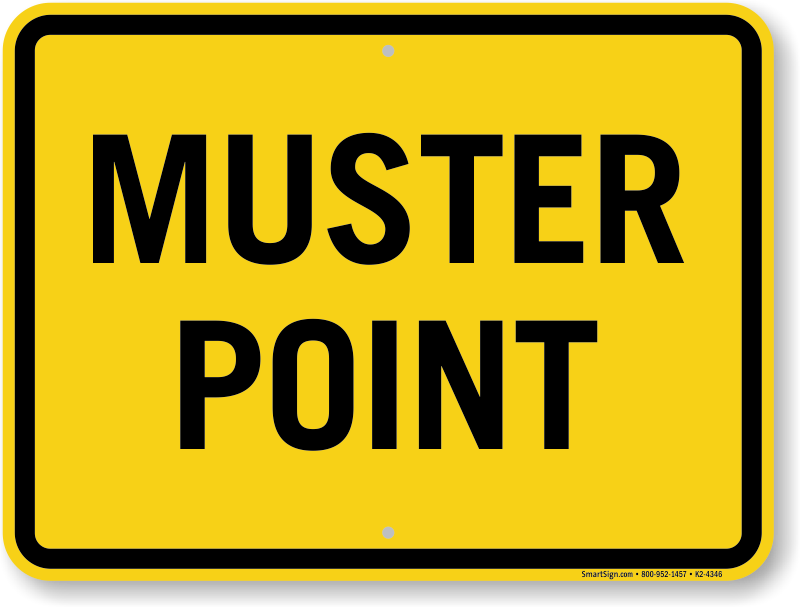 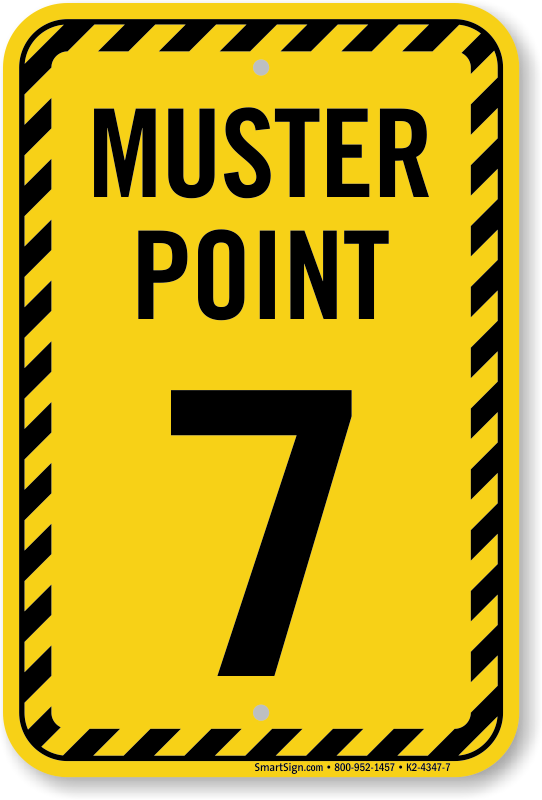 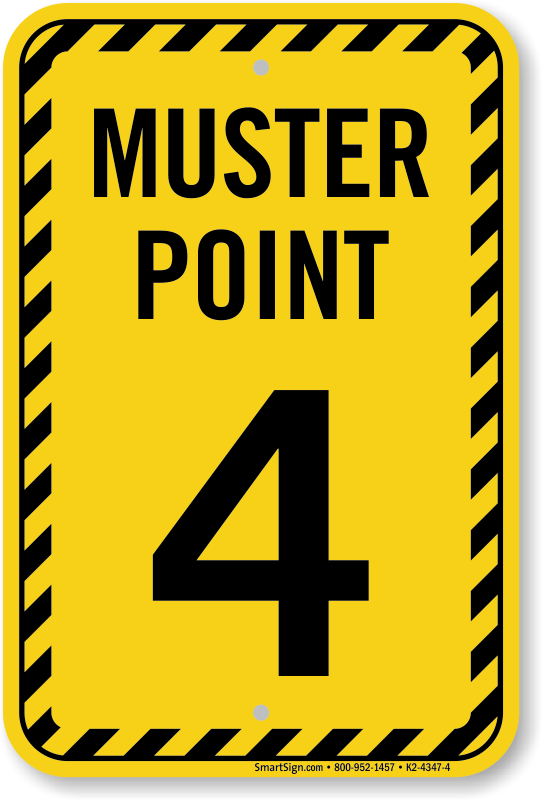 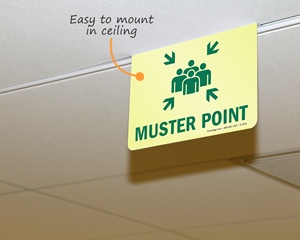 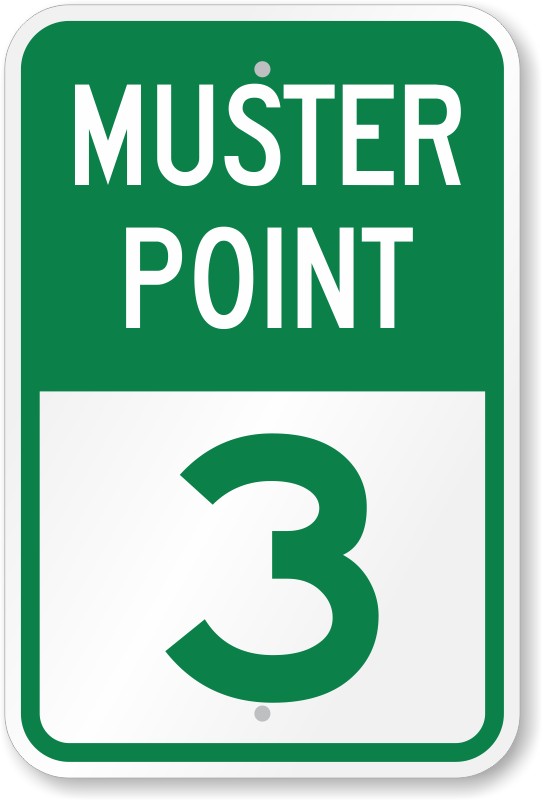 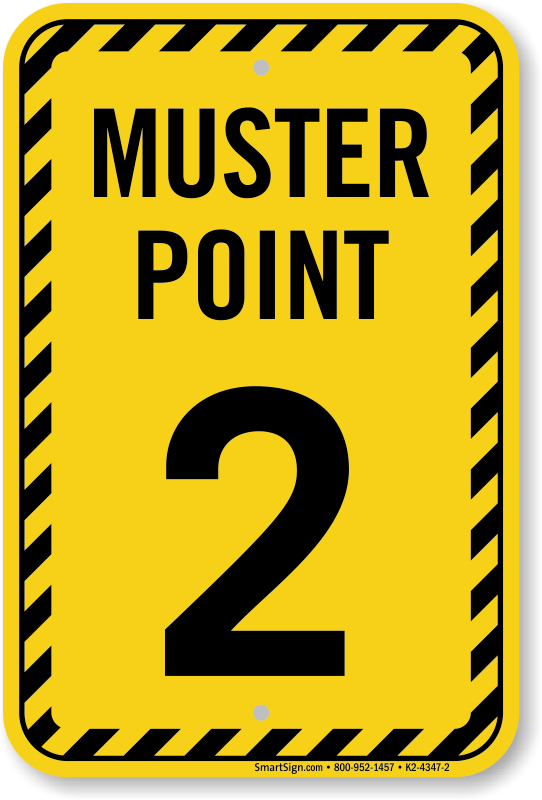 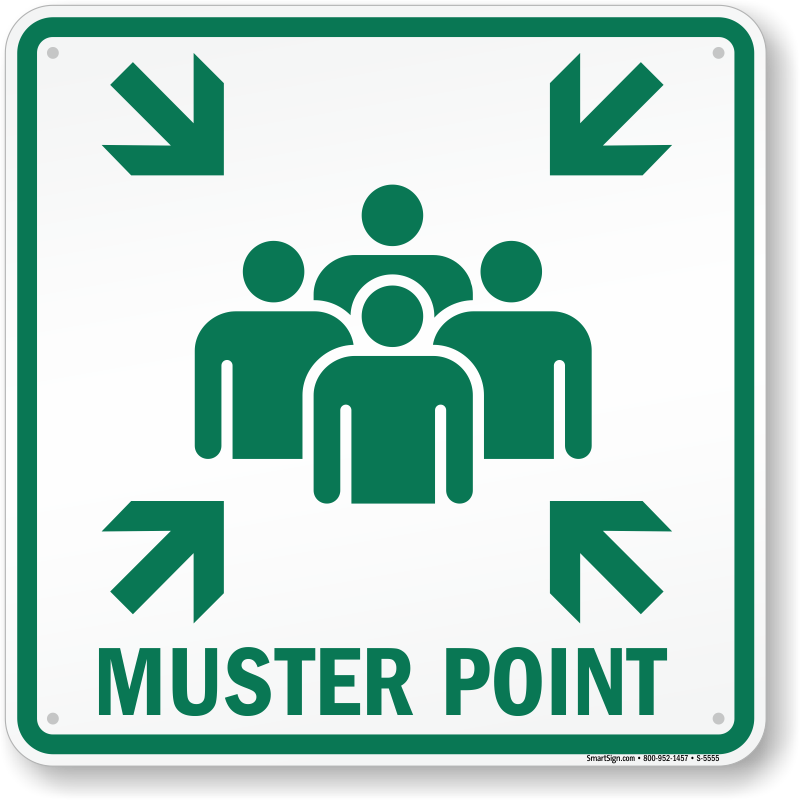 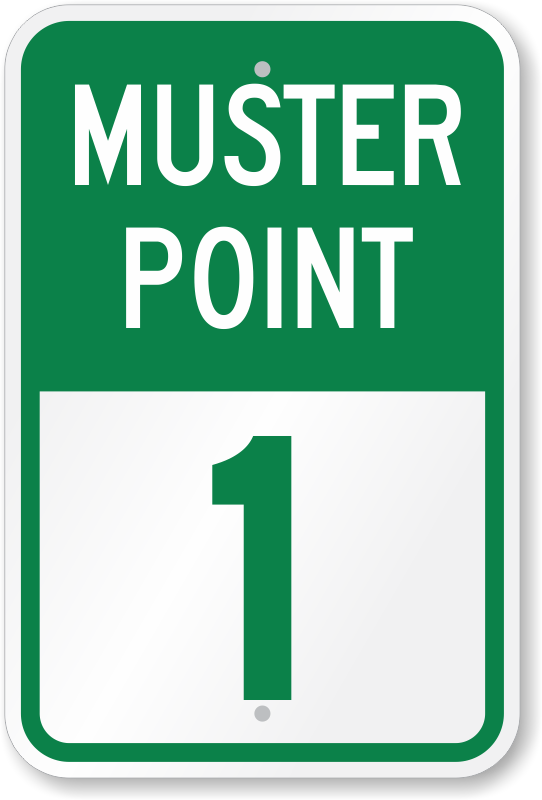 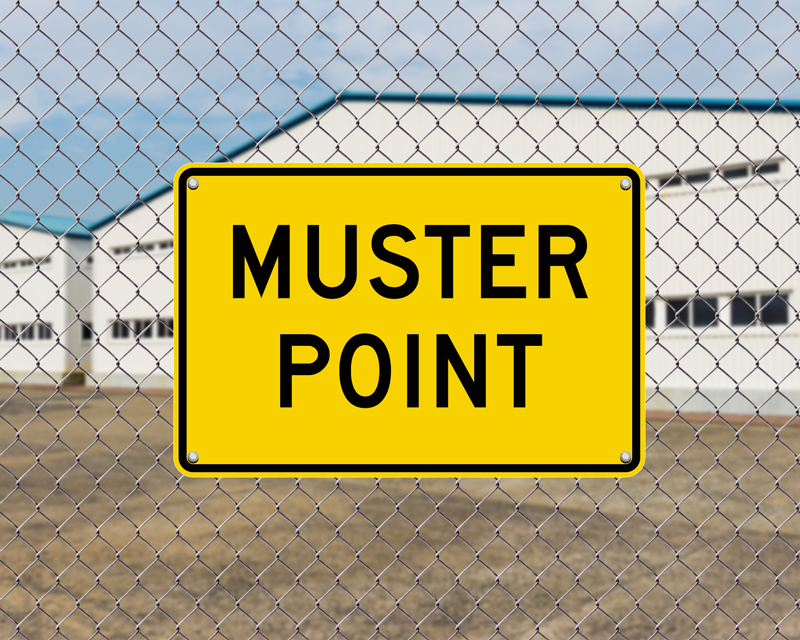 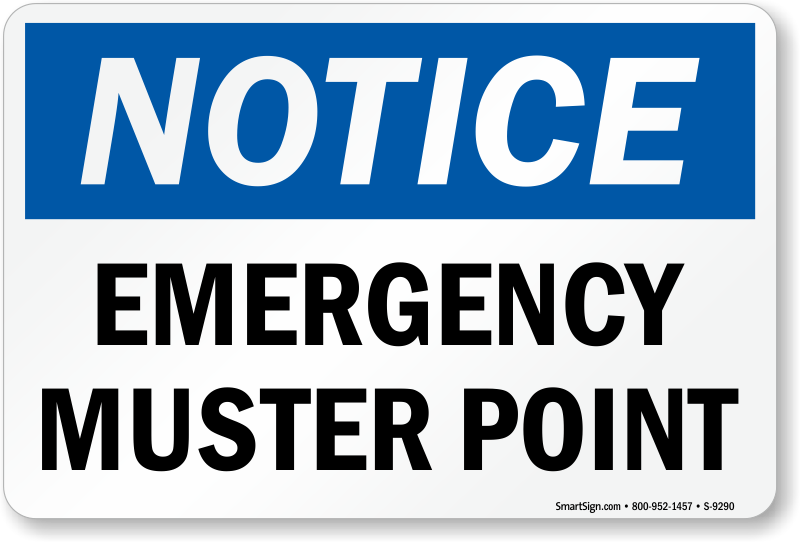 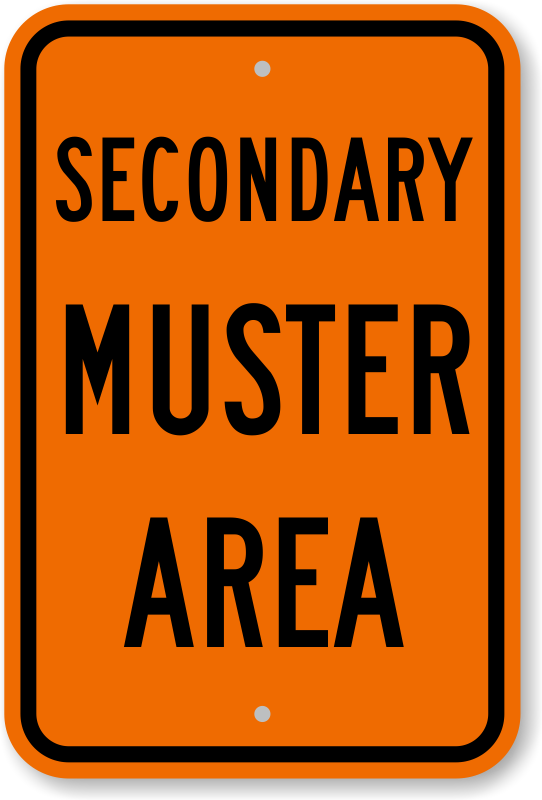 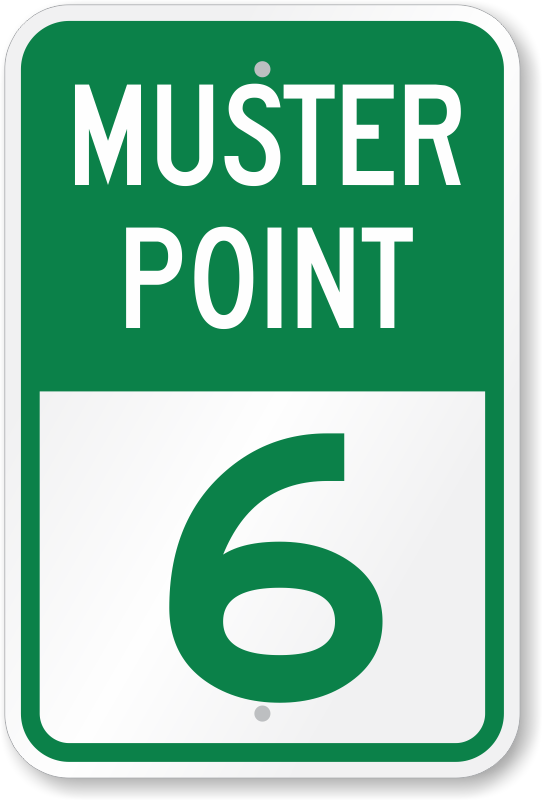 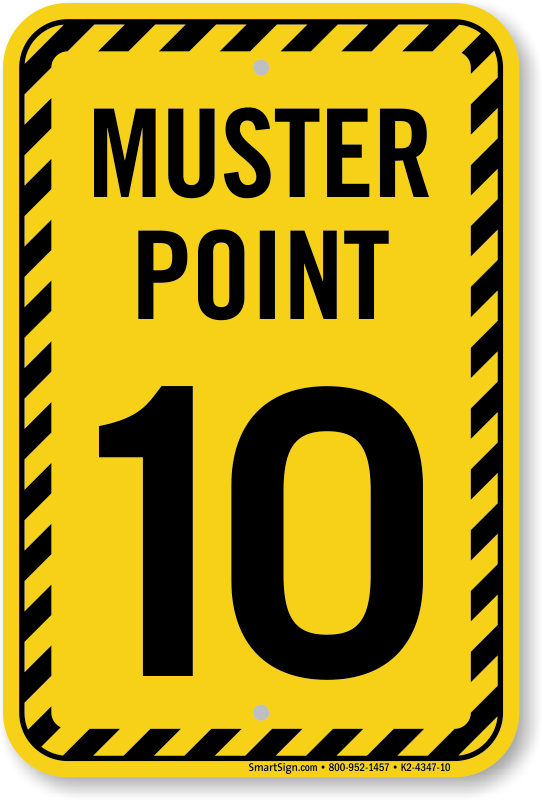 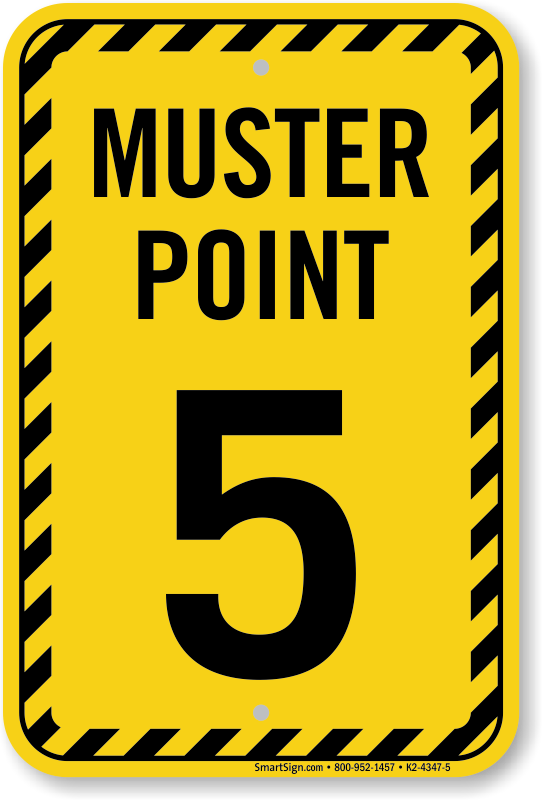 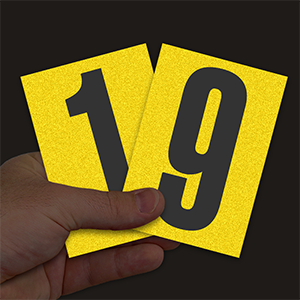 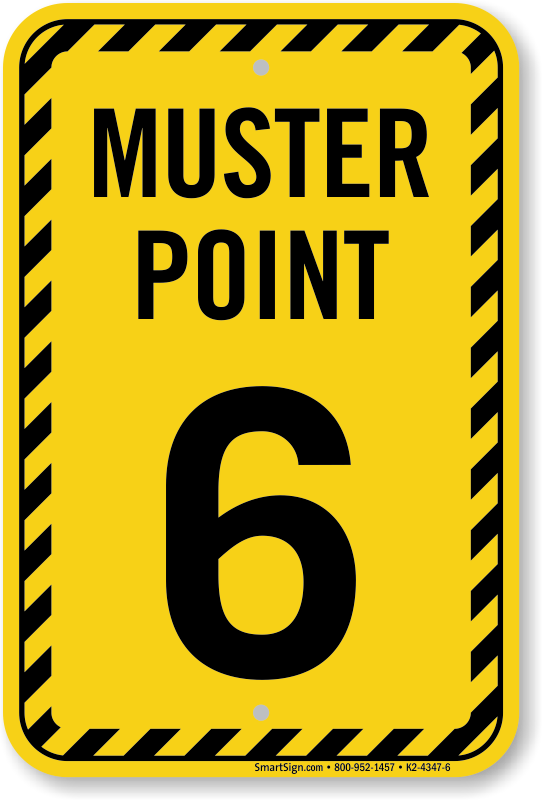 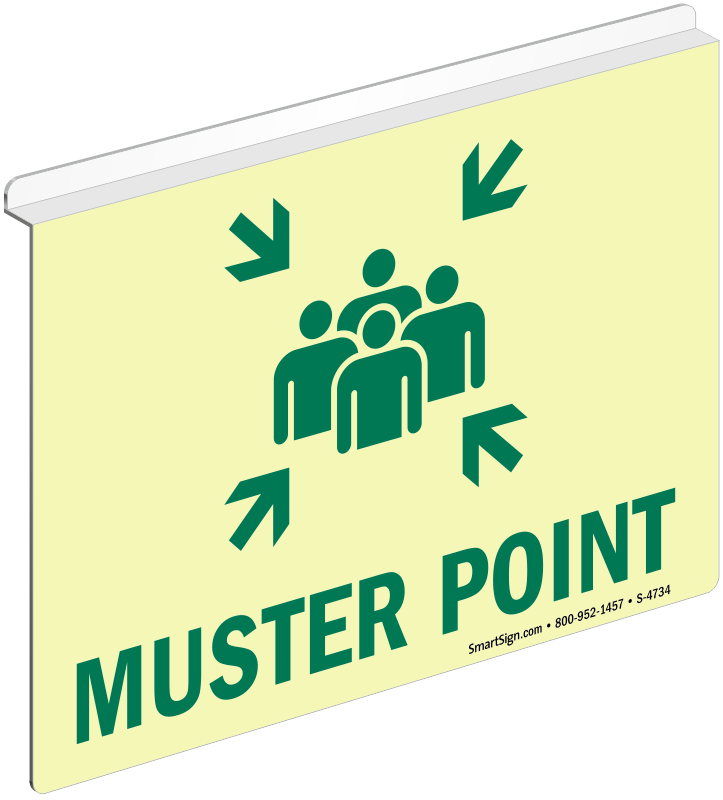 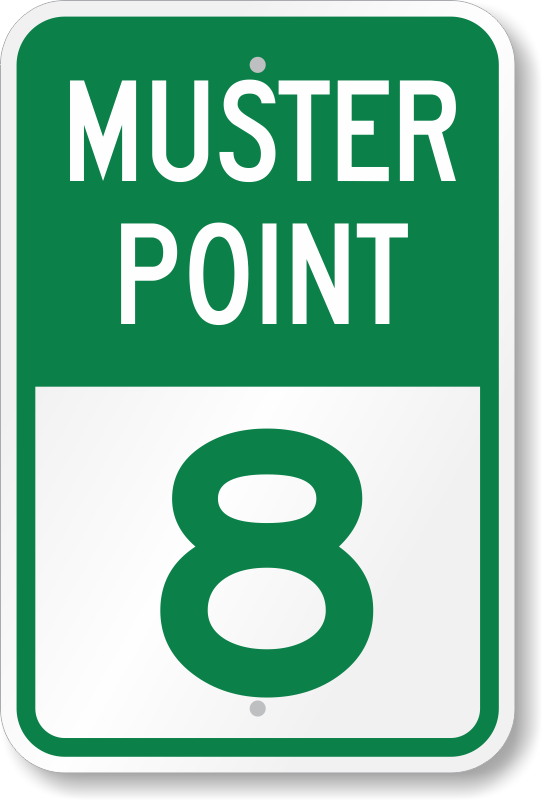 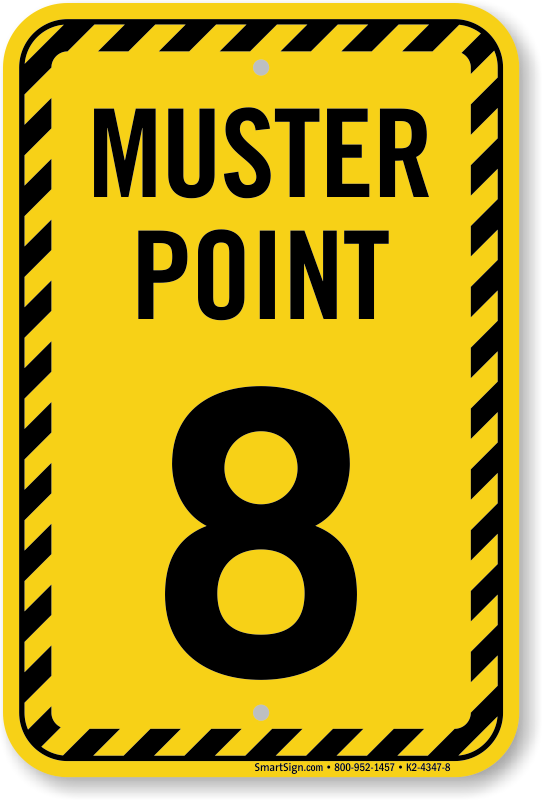 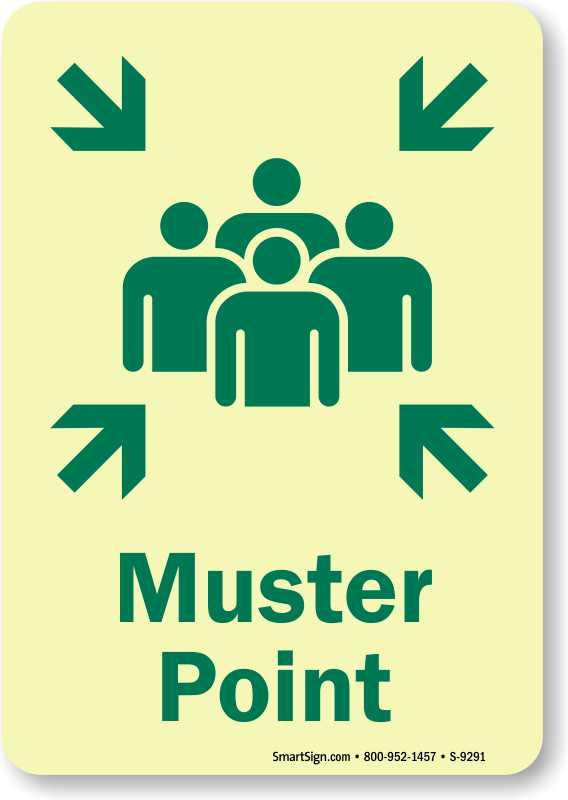 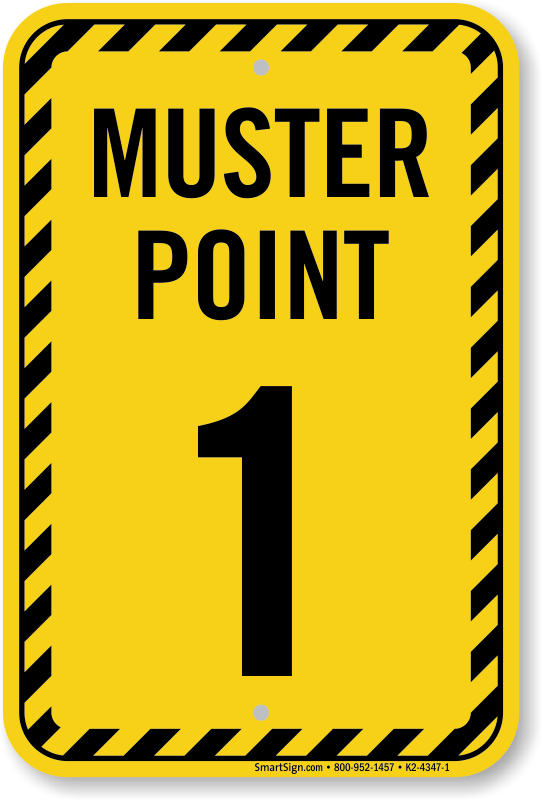 Muster point signs direct all guests and employees during an emergency. 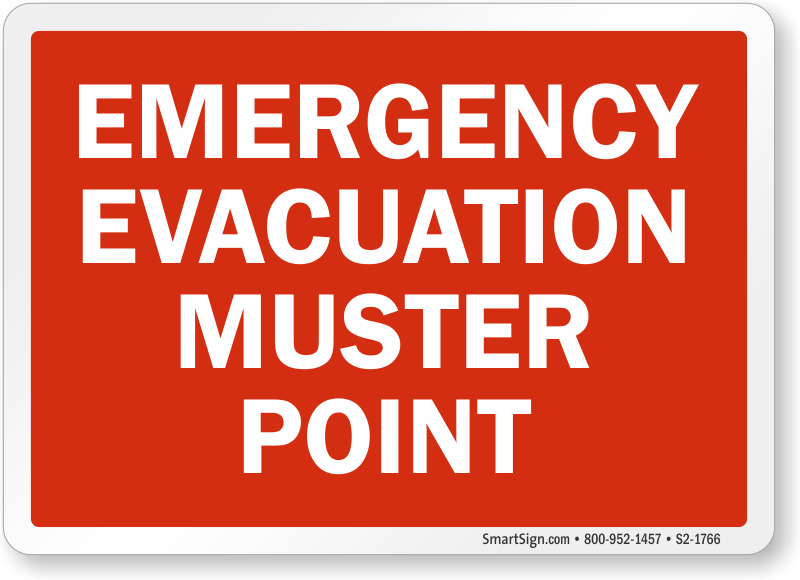 Post signs for your thoughtful and prepared evacuation plan. 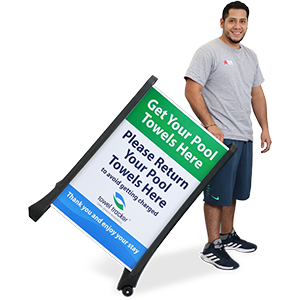 • Outdoor durable signs are produced with 3M's match component inks and films. 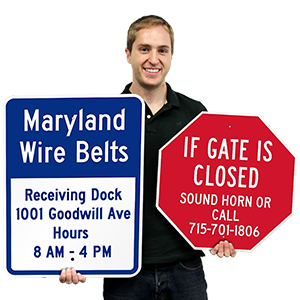 Signs are guaranteed to last for over 10 years. • Fluorescent and reflective signs are easy to see at night or in low light conditions. 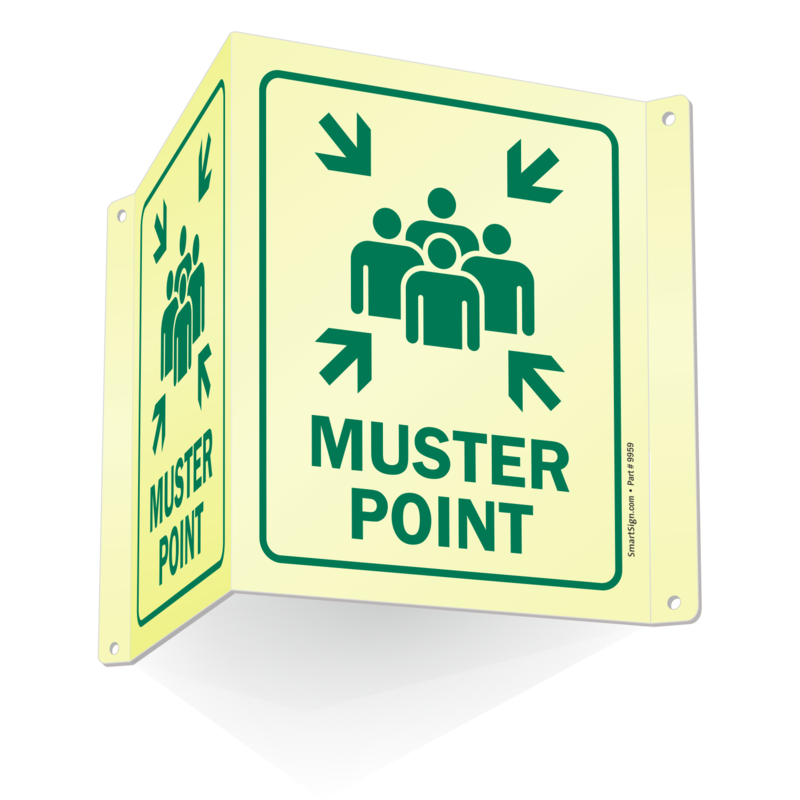 • Available in a variety of sizes and materials to help guide your employees in an emergency. 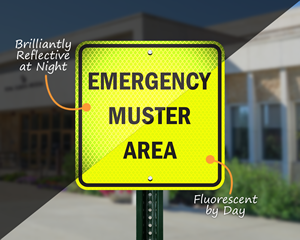 Point the way to emergency assembly areas with our bright, glow-in-the-dark and fluorescent signs.